At last, I c an post the betiko picture with the the actual flowers spot that inspired the project and the dye job. Every morning I walk my greyhound past this one little spot (that he doesn’t pee on) of beautiful flowers that are randomly growing out of a stone wall. Not only do the flowers make me smile, but the sight inspired me. 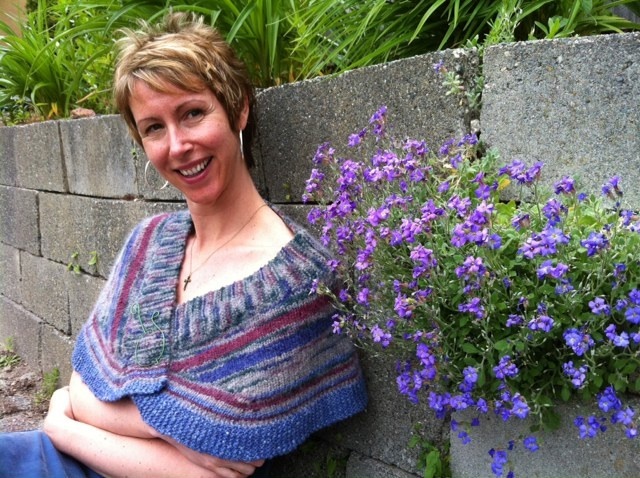 Here’s a look at the finished shawl next to the inspiration. And..the trip to Chicago was good, and was the time with my mom. We still don’t know anything about her white blood cell count, but after the last round of blood work, the bone biopsy is the last test. We did have a great time hanging out, and she was kind enough to help me relive one of my most embarrassing childhood memories..my mom, the lilac stealer. Yep. She would wait until dusk, go out to the alleys, and clip lilacs off people’s bushes. This time she did it in broad daylight, with me driving the getaway car. 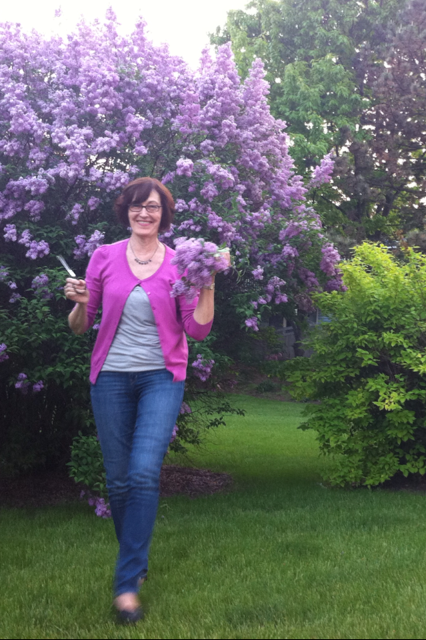 Funny how we are both hanging out with purple flowers..
And a teaser picture for the next post. 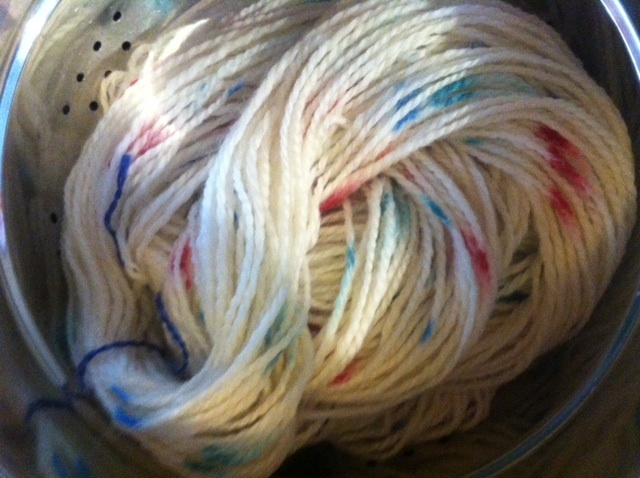 Can you say merino/angora blend? Probably one of the sweetest fiber blends I have ever found..no pre drafting needed, smooth, shiny, and slightly dense when plied. Yum.